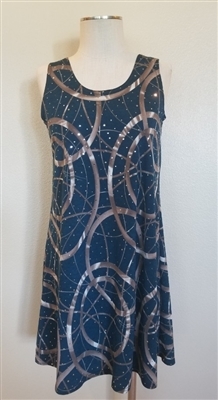 Knee length tank dress in teal/gold print. Made in the USA of polyester/spandex and is hand or machine washable. Hang to dry.